EXCLUSIVE TO NET-A-PORTER.COM. 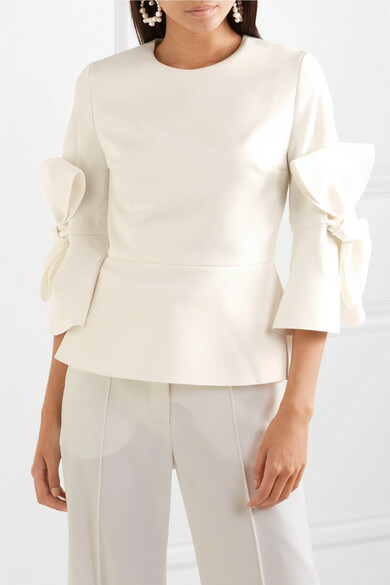 Roksanda's 'Kemi' blouse is such an elegant choice for brides looking for something a little less traditional (and easier to dance in). 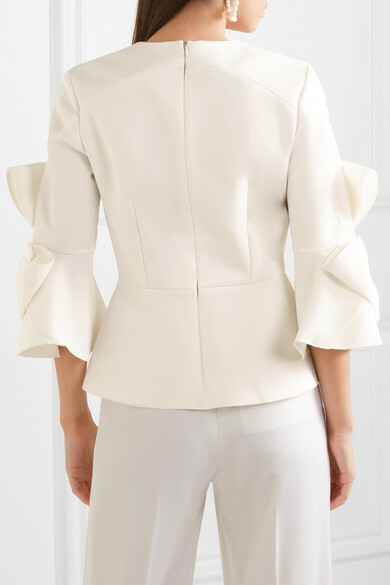 It's cut from slightly stretchy crepe with a sculptural peplum hem and fluted satin-trimmed sleeves topped with oversized bows. 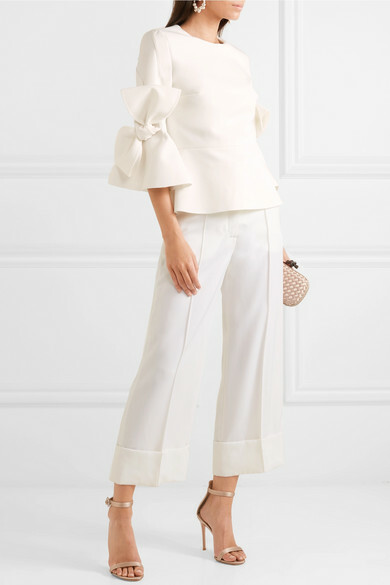 Shown here with: Alexander McQueen Pants, Bottega Veneta Clutch, Gianvito Rossi Sandals, Dinosaur Designs Earrings.